This is Wayback Wednesday, your midweek blast from the past! In this feature, we dig into the archives, look back at the history of basketball gaming, and indulge in some nostalgia. 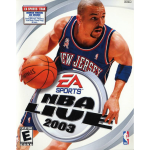 Check in every Wednesday for retrospectives and other features on older versions of NBA Live, NBA 2K, and old school basketball video games in general. You’ll also find old NLSC editorials re-published with added commentary, and other flashback content. 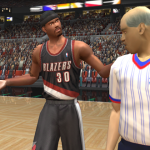 This week, I’m taking a look back at an oddity with Michael Redd in the default rosters of NBA Live 2003 PC. 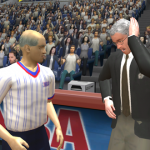 There are a lot of reasons why it’s fun to go back and play an old basketball video game. Even though our old favourites tend to be far surpassed by new titles, we can usually still find nostalgic enjoyment in the familiarity of the gameplay. It can be satisfying to dust off an old save file, and pick it up again for a while. Sometimes, it’s interesting to just go through the rosters and be reminded of when a certain player was playing for a particular team. 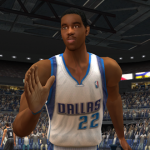 If you do that in NBA Live 2003 PC, you’ll be reminded of when Michael Redd played for the Dallas Mavericks. Only, that never actually happened. Yet there he is, on the bench for the 2003 Mavs. This is Wayback Wednesday, your midweek blast from the past! In this feature, we dig into the archives, look back at the history of basketball gaming, and indulge in some nostalgia. 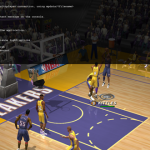 Check in every Wednesday for retrospectives and other features on older versions of NBA Live, NBA 2K, and old school basketball video games in general. You’ll also find old NLSC editorials re-published with added commentary, and other flashback content. 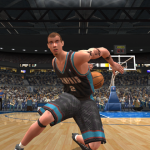 This week, I’m taking a look back at Freestyle Control in NBA Live 2003. It’s funny that it’s taken me this long to do a Wayback Wednesday feature on Freestyle Control, especially since I talked about Freestyle Superstars just a few weeks ago. 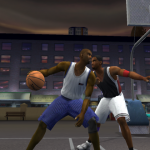 I did talk about it in my retrospective of NBA Live 2003, but being such an important development in terms of controls, it definitely deserves its own article. Although the name has changed a couple of times over the years, taking on monikers such as “Quick Strike Ballhandling” and “Quick Strike Ankle Breakers”, the basic concept of Freestyle’s right stick control has remained essentially the same. It’s since gone back to its original name, and we’ll be seeing more of it in NBA Live 18. Basketball video games have had their fair share of hidden players over the years, from the secret characters in NBA Jam to the dummied out and unlockable players in NBA Live and NBA 2K. 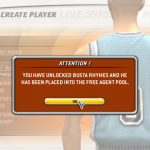 In the case of NBA Live 2003, there were six players who were unlockable via codes, all of whom were rappers. Granted, they weren’t as useful as the hidden rookies in NBA Live 2004, or the dummied out historical players in NBA Live 08. 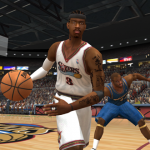 Nevertheless, the rappers in NBA Live 2003 were kind of a cool bonus, and could still be put to good use in special roster patches, such as the NBA Live Street mod. To unlock them, users simply had to input specific codes as the last name in Create-a-Player. 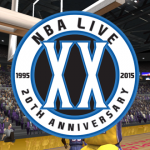 It’s not often that we get any file additions for NBA Live 2003 these days, but we have had a new patch uploaded recently. Mirac has released a face update for Andre Drummond, which you can download at the link below. 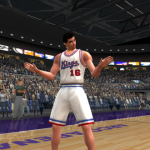 If you’re after some recent roster updates for NBA Live 2003, Murat (aka The Real Badger) released the NBA Live 15 project last year, which you can download here.